So while thinking of a great treat to have while warming yourself by the bonfire, smoores came to mind. 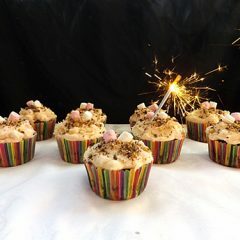 Traditionally an American treat but I wanted to see if I could turn it into a fun cupcake so you didn’t have to worry about the little ones burning their hands on hot marshmallow. 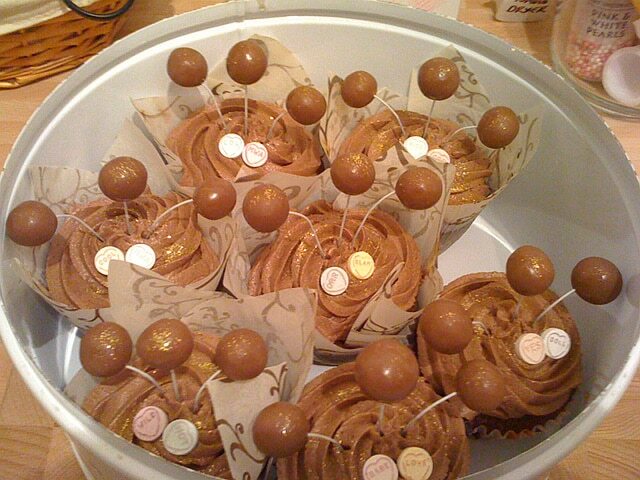 So I set on a quest to make smores cupcakes. I wanted the melty (yes it’s a real word…) melty marshmallow flavour, the crunchiness of the crackers and the deep chocolaty flavour to wrap it all in. 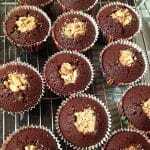 I started off wanting a deep rich chocolate cake, I’m no expert on baking with chocolate but I am a lot better since my self imposed mini chocolate-a-thon in June 2013 and I had a pot of sour cream in the fridge. Chocolate & sour cream hey why not? 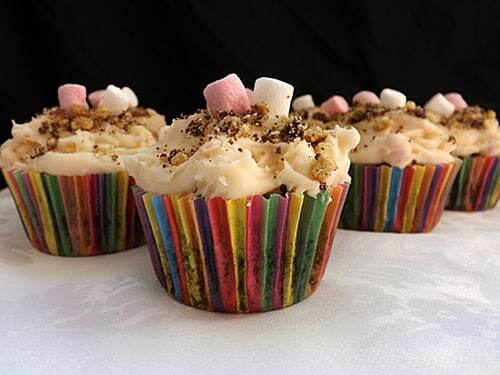 Sour cream goes well in muffins so why not cupcakes. 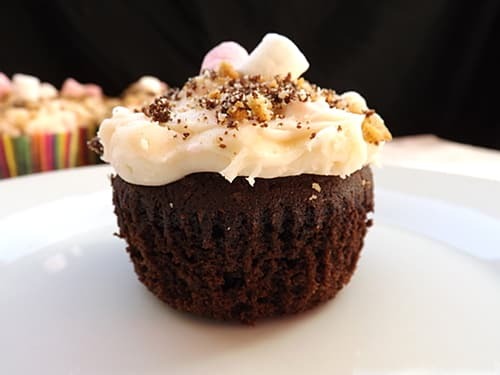 What I got was a lovely rich dark chocolate cupcake, which was delicious on its own and would have made a wonderful dessert if served warm with a little cream. But that was not my plan for them this time. Getting the crunchy cracker element took a little thinking about but I decided taking out the core and filling it with cracker crumbs would be the answer. So there would be a crunchy surprise for the eater. I believe traditionally Graham crackers are used for smores, Graham crackers are expensive and very difficult to come by in the UK only speciality American food stores sell them after a little internet research I am pretty sure our very own digestive biscuits are pretty much the same thing. So I used them instead. 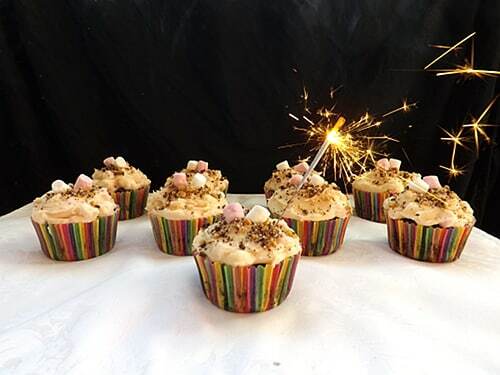 The next part to achieve was the marshmallow, I made a vanilla buttercream and added melted marshmallow and whipped it up like a mad woman and achieved a lovely soft fluffy frosting. 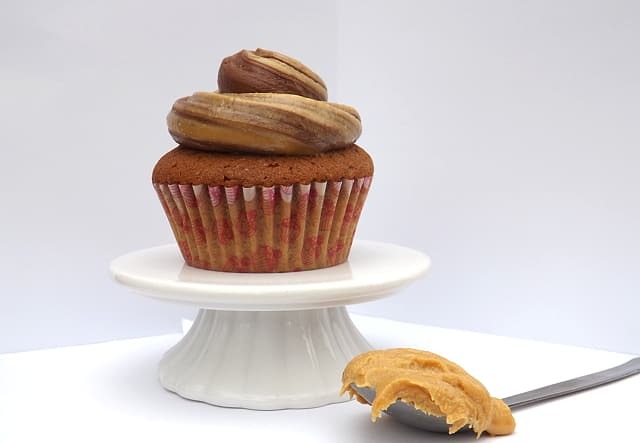 If you are a frosting master you could pipe it onto the cupcake and create a lovely swirl. I am not! 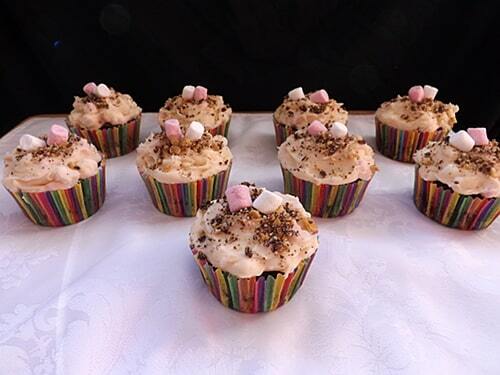 Also I wanted more marshmallows so I added another few handfuls in and spooned in on my cupcakes. 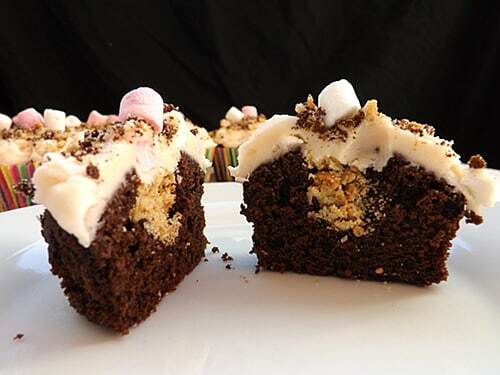 With the remaining cracker crumbs and the cupcake cores I had taken out I crumbed them together sprinkled a little on top of each cupcake and finished with a couple more mini marshmallows. 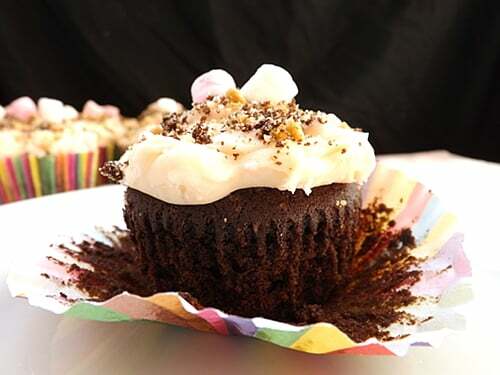 A rich chocolate cupcake with a crunchy middle and a light fluffy marshmallow frosting. Line your muffin tins with liners, or grease them lightly. 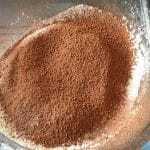 In a small bowl sieve the cocoa, flour, baking powder and salt together. Give it all a gentle mix so everything is well combined then set aside. In another large bowl or in a mixer cream the butter and sugar together until it is light and fluffy. Add the eggs one at a time mixing between each addition. On a low speed if using a mixer add half the flour and mix it in. Then add the sour cream and mix until everything is well combined. Then add the remaining flour. Spoon the mixture into your prepared tins / cases till they are almost full. Bake in the centre of your oven for 20 to 25 minutes, checking once 20 minutes are up. As I mentioned before I have a slow oven but if yours is faster they won’t take longer than 20 minutes. Take them out of the oven and allow them to sit in their tins for a few minutes then take them out and allow them to fully cool on a cooling rack. 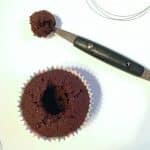 Scoop out the core of your cupcakes, I used a melon baller! Take your digestive biscuits / graham crackers and bash them into small bits and crumbs. 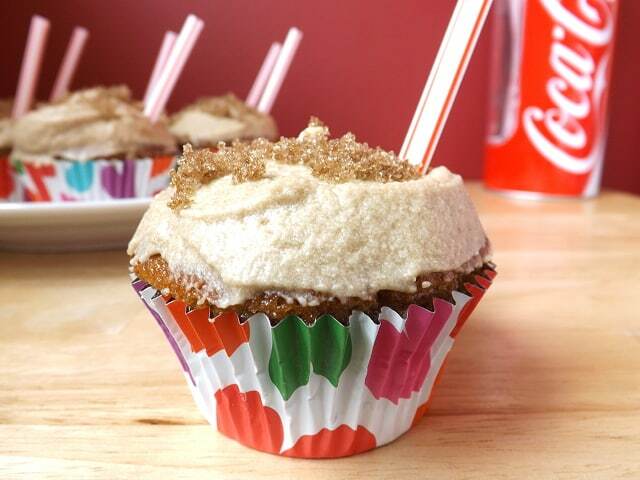 Fill each of the holes in your cupcakes. In your mixer or a large bowl using an electric hand mixer beat your butter until it is pale. Slowly add the icing sugar and beat it in, it will look a little dry but this is fine. 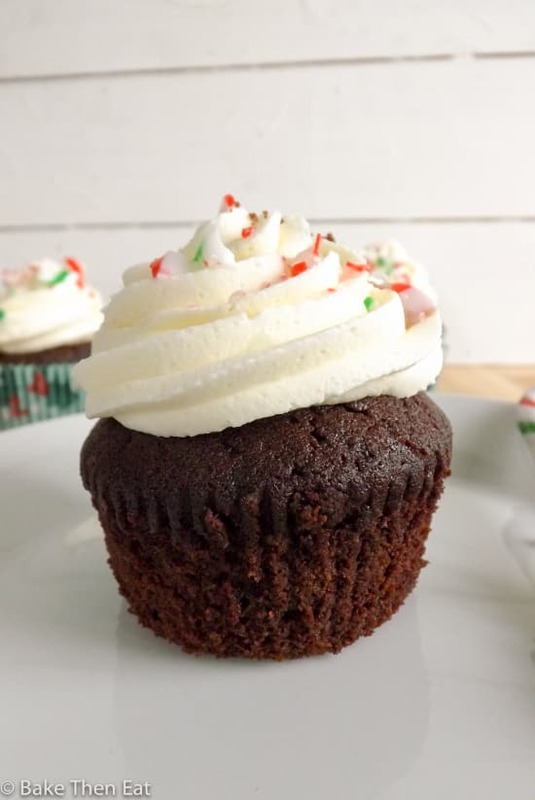 Add the milk and vanilla extract and mix for a few minutes until you have a light and fluffy buttercream. In a medium glass bowl add the larger lot of marshmallows and pop them in the microwave. For 30 second blasts at a time heat them until they have become all puffy and starting to melt. Mine took 2 full 30 second blasts. Quickly add it to the butter cream and beat it in until it is well incorporated. 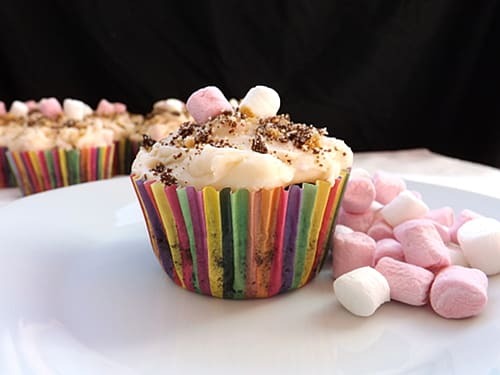 If you love marshmallows like me and want to add the extra ones, add the smaller batch now. 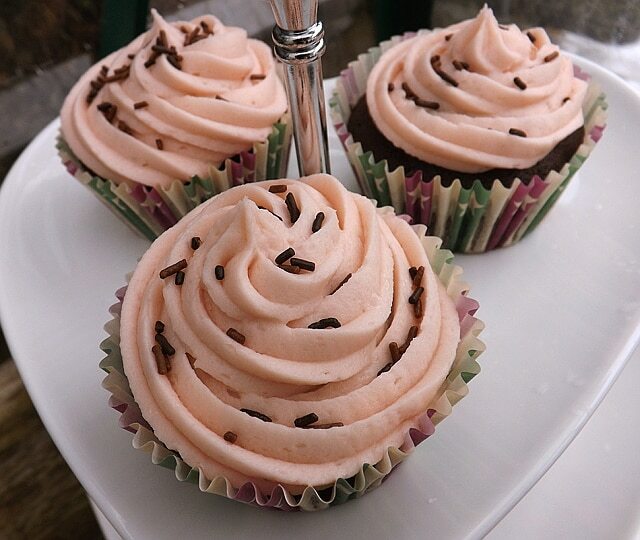 Spoon a generous amount of the buttercream on top of each of the cupcakes and spread it over the top. 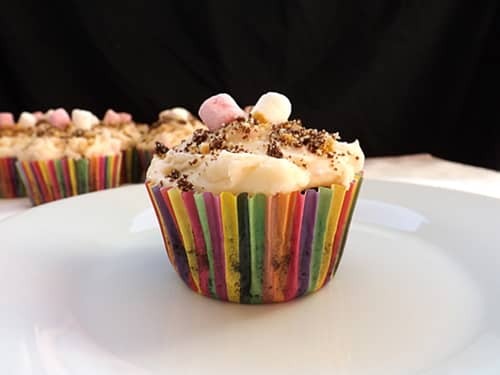 Take your remaining cracker crumbs and the bits from the cupcakes you scooped out rub them together and sprinkle the crumbs over the top. 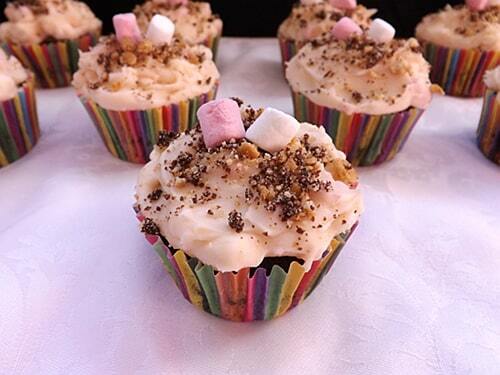 Add two mini marshmallows on top for even more marshmallowy goodness. 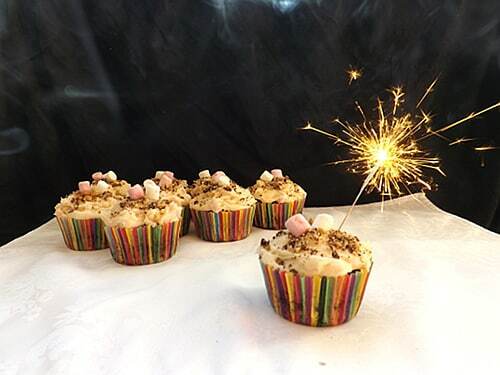 Lovely cupcakes and I love how festive and fun you made this post! This is looking so yummm..!! Loved it. I would like to make for my family this Christmas. Thank you so much for sharing. Very clever and perfect for the occasion! This looks very sweet and very festive. 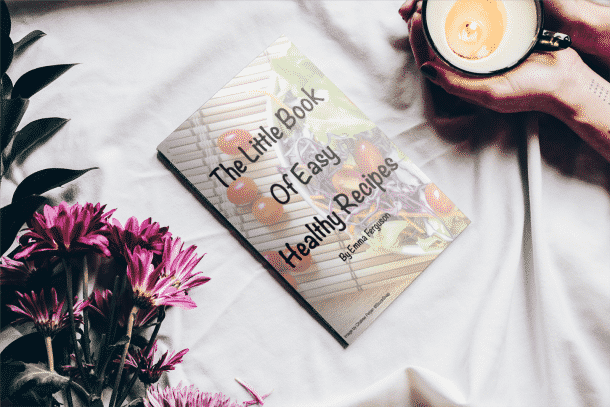 I want to try one of your recipes, and I’m not sure which one I should attempt first. It will likely be a disaster, due to my lack of even basic culinary competence. 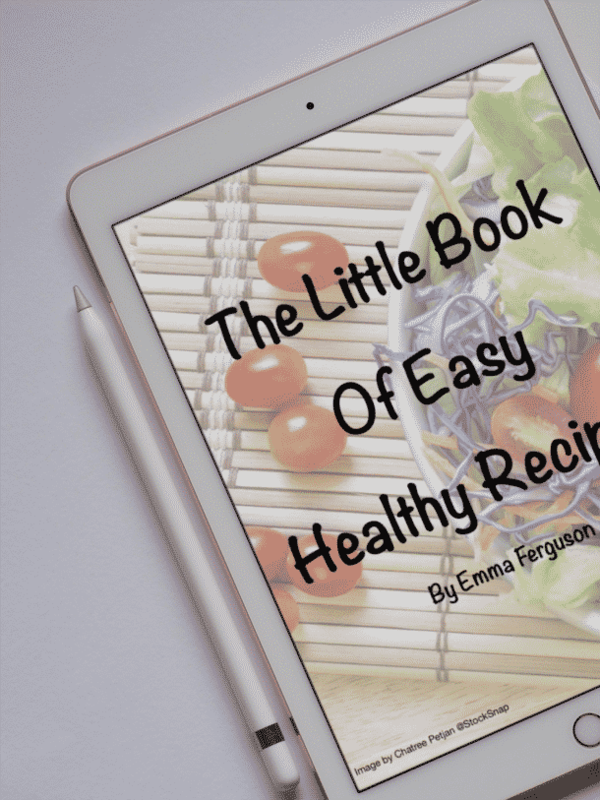 Which of your recipes is the easiest, yet the most gratifying? Hi Liz, thank you S’mores desserts are so addictive you’re right who doesn’t love them these didn’t last long with my family they ate them all in 1 and 1/2 days! I love the idea of these they sound perfect for eating by the bonfire. 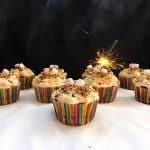 I love bonfire night and I am sure my family will enjoy these. 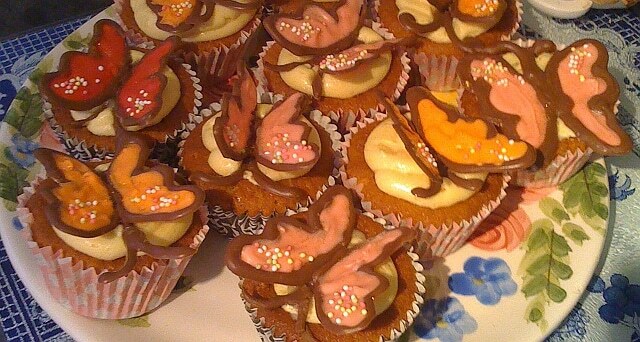 These are so fun and festive Emma! I love S’mores and these sound perfect 🙂 The cookie filling is so pretty too!